And, when pressed, it sounds a two-toned ring. The real trick in this technique is the timing and the tones, so that's what I'll talk about. 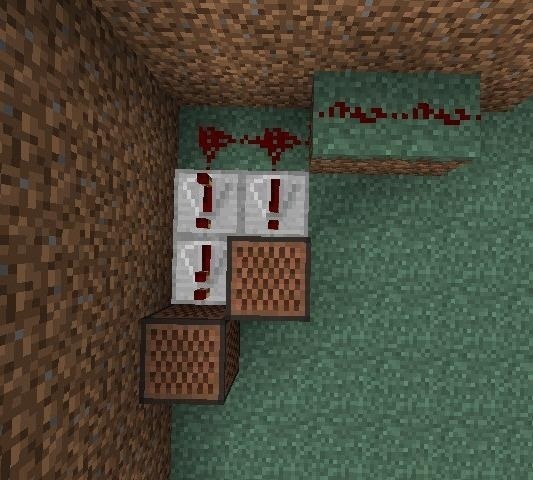 Note that in this picture, I've used a total of three redstone repeaters. 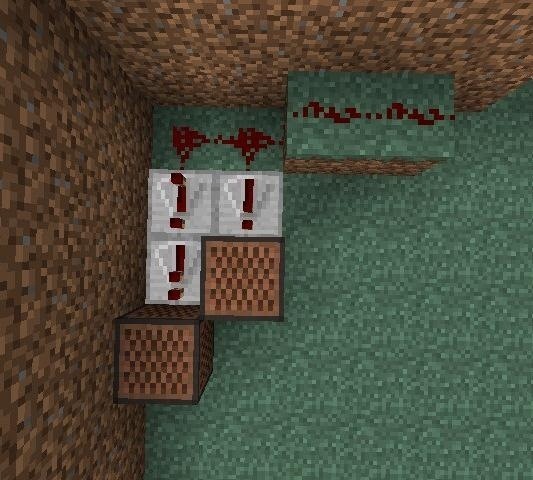 The first tone, the one on the right, has a repeater pointed at it so that the redstone wires don't cross, but if you make it a different way, you don't need that one. The important thing is to make sure that the second tone (in this case, the one on the left) is four delay clicks after the first one. That is, one fully-delayed repeater. 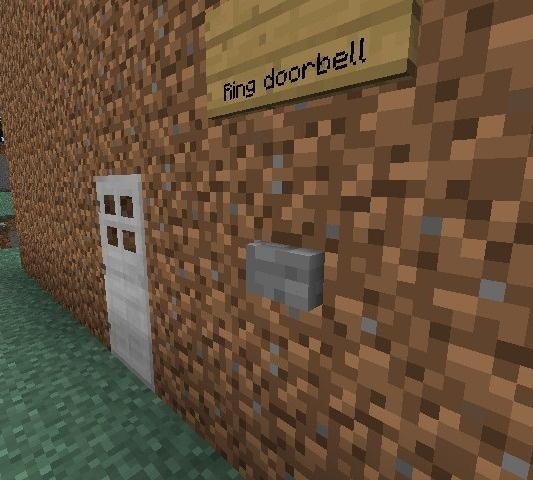 I've found that that makes the best doorbell-like sound. So for the first block, you'll want to right-click it 10 times, and then for the second, you'll want to right-click it 6 times.